In Assassin’s Creed: Odyssey, knowing how to get different crafting materials including Soft Leather is important. This is because, in order to upgrade your gear and weapons, you’ll need to exchange the necessary materials. As one of these materials, Soft Leather can sometimes be hard to accrue in large quantities. To help make things easier, we’ve put together a quick guide on where to get Soft Leather in Assassin’s Creed: Odyssey. 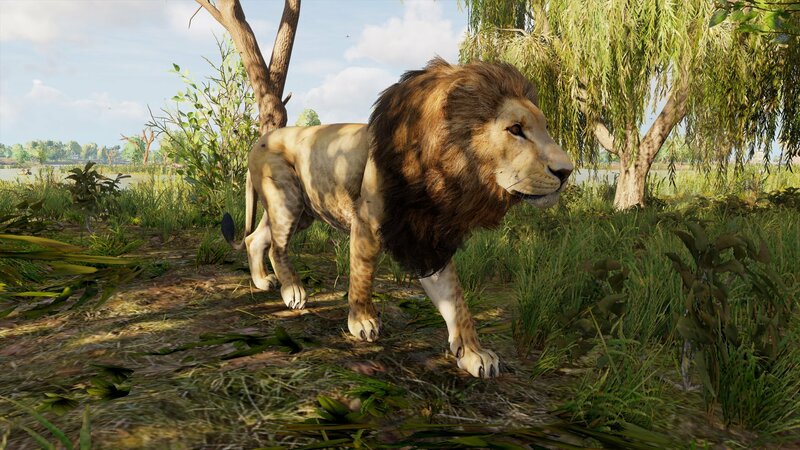 Lions are among the animals that drop Soft Leather in Assassin's Creed: Odyssey. There are a few different ways to get Soft Leather in Assassin’s Creed: Odyssey. For example, you can get Soft Leather by dismantling items you already own, particularly armor. Of course, this isn't the most efficient way to increase your Soft Leather inventory. Instead, the best way to get Soft Leather in Assassin’s Creed: Odyssey is by hunting animals including boar and lions. If you click on an animal while scouting with Ikaros, you can see what materials it will drop. By killing animals that drop Soft Leather, you can quickly rack up enough Soft Leather for all your crafting needs. Plus, animals locations are marked are marked on your map, so finding hunting spots shouldn’t be a problem. Not on land but need Soft Leather? When you're sailing, you'll often encounter ships that can be attacked, or submerged wrecks that can be looted. This can often yield some solid items, including a few piece of Soft Leather here and there. Overall, hunting is the best method to get Soft Leather. By setting aside time for a few hunting trips, you should have no problem getting Soft Leather in Assassin’s Creed: Odyssey. If you're unable to hunt you can also get it on the high seas, and by dismantling gear that drops Soft Leather whenever the need arises. For more on Assassin’s Creed: Odyssey, be sure to check out some of our previous guides including how to get Obsidian Glass in Assassin’s Creed: Odyssey, how to get olive wood in Assassin’s Creed: Odyssey, and how to open the Cave of the Forgotten Isle in Assassin’s Creed: Odyssey. By reading through this guide, you should now know where to get Soft Leather in Assassin’s Creed: Odyssey.